This is a light dessert that can be prepared well in advance of the meal and one that lends itself to variations. The tartlet pans can be bought wherever housewares are sold. There is no need to invest in pricey pans; the simple ones will do the job just as well. seasonal fruit slices: strawberry, kiwi, nectarine, carambola, etc. Put the flour, sugar, and oil into a large mixing bowl. Cut the butter into cubes and add to the flour mixture, crumbling the butter with your fingers and stirring until mixture resembles crumbs. Add the egg and form a ball of dough. If necessary, add 2-3 tablespoons cold water. Knead the dough as little as possible. Wrap the dough in a bag and refrigerate at least an hour. 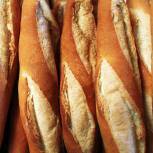 After the refrigeration, roll out the dough to a thickness of 1/2 centimeter (1/5 inch). Cut out a piece the size of your tartlet pan, and cover the base of the pan and its sides. Bake the tartlet at 180 degrees Celsius for 15 minutes. Cool before easing the tartlet out of its pan. When the cold dough is baked in the hot oven, it will be crispier. You can make the dough in a food processor or mixer, but take care to knead as little as possible. Whip the yolks together with the sugar until the mixture is fluffy and pale yellow. Add the corn flour and stir well with a spoon. Pour the milk into a pot, add the vanilla stick or vanilla extract, and bring to a boil. Lower the flame and cook an additional three minutes. Remove the vanilla stick, if using, make nicks along the length of it, and add the chipped crumbs to the milk. Pour the milk mixture into the egg mixture and stir well. Cook the combined mixture on a low flame while stirring continuously until the mixture is thick-do not bring to a boil. Refrigerate the cream. 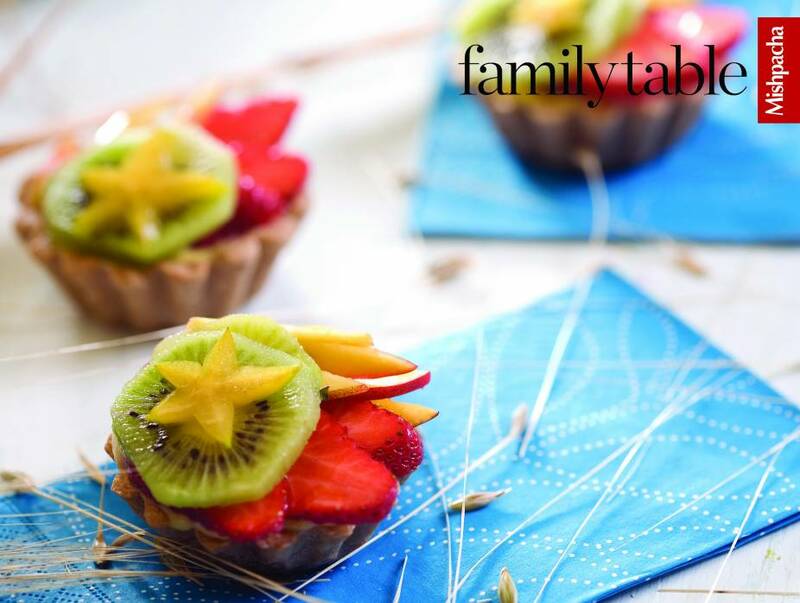 Fill the tartlet with the cream and decorate with seasonal fruits. The tartlet, without the cream filling, can be stored in a sealed container or in the freezer for up to two weeks. The cream can be kept in the fridge for up to four days or in the freezer. After the tartlet has been filled with cream, it can be kept for up to 4 hours.